If there’s one thing last week’s “Beyond The Wall” crystallized, it’s that Game of Thrones fell into a deep rut with Season 7, and to a lesser extent the year before. We’re no longer willing to get rid of characters whose relevance to the story has long-since ended, and even the show’s biggest moments arrive either as the only possible outcome of what came before, or crowd-sourced revelations solved months in advance with basic storytelling math. Of course the Wall would break in time for the final season; of course Jon and Daenerys would come together (hey-o!) just as the full truth of his heritage was revealed, and of course Arya and Sansa were running a longer game on Littlefinger than the ankle-deep sibling rivalry drama cobbled together to keep Maisie Williams and Sophie Turner involved in the story this year. And whatever larger purpose George R.R. Martin has in mind for Littlefinger, showrunners David Benioff and Dan Weiss simply don’t have patience or narrative real estate to keep the character in play for the final episodes, so off he shuffles from this mortal coil. Storytelling, especially on Game of Thrones, almost always comes down to birds and stones. All the same, I’m intrigued where Cersei’s stealth betrayal of Jon and Daenerys leaves us for the final season. There was never any good reason to suspect that she’d partner with her enemies in earnest; all the more reason Season 7 had odds to kill Cersei off, just as it had Littlefinger. At least continuing the war with the mysterious “Golden Company” in the mix (and Jaime no longer by her side) probably offers a more interesting conflict than six straight episodes of beating back an undead army with no personality whatsoever. Ditto for Theon rallying the Ironborn to rescue an off-screen Yara; Season 8 isn’t about to abandon personal conflicts entirely. What “The Dragon and the Wolf” – and perhaps Season 7 overall – covered well were the smaller moments that didn’t feel quite so inevitable. The Dragonpit assembly offered an embarrassment of rich character interactions like Tyrion and Bronn* admitting they miss one another, or the stifled pride visible on the Hound’s face when Brienne mentioned how capable a fighter Arya had become. And despite Jon’s colossally stupid** gesture of swearing allegiance to Daenerys in that moment, Peter Dinklage proved himself and Tyrion the show’s MVPs in that personal appeal to Cersei. Both Tyrion’s one-on-one reunions with Jaime and Cersei perfectly balance the power of individual moments like Tyrion swearing his love for Cersei’s children with the nostalgia of seeing these characters interact after so many seasons. *Littlefinger aside, “The Dragon and the Wolf” was once again light on casualties. I’d have thought for sure Cersei would make an example of Bronn to either Tyrion or Jaime, given how much time was devoted to Bronn swearing that exact thing wouldn’t happen. Hopefully, Jaime at least gave him a heads up on his way out of town. **It was smart to write Jon’s self-awareness of his Ned-like stupidity into the scene. And whatever you believe Martin’s writing a metaphor of, it’s hard to overlook the real-world parallel of Jon stressing the importance of words and truth in a climate-threatened world, while a golden-haired despot lies unrepentantly to protect their family’s interests. I feel like Game of Thrones is caught between the outline of someone else’s story and the demands of episodic TV; losing sight of how and why big moments register. In much the same way the Night King using Viserion to break the wall was robbed of impact by its inevitability, so too does Cersei’s betrayal retroactively alter the gravity of Lena Headey’s performance in earlier scenes. These shocking developments only resonate when there’s genuine value to the way characters react to them. Seeing Cersei legitimately moved by the undead threat would be far more interesting than her smug indifference later, just as the revelation of Jon’s parentage has more weight in his and Dany’s reactions than bolstering what we already know. There’s good reason Jaime’s abject terror at Drogon’s arrival is perhaps the best image of the season, as opposed to the Night King using jets of blue flame to do something we all knew he would eventually. 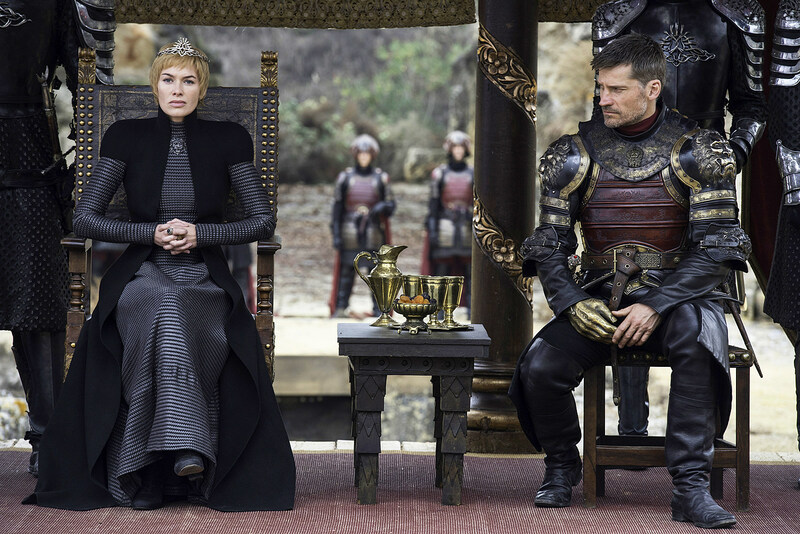 Penultimate seasons are notoriously difficult, so there’s good reason to hope the final Game of Thrones episodes can arrange their big moments in such a way as to actively engage its characters, rather than attempt to catch a savvy audience off-guard. “The Dragon and the Wolf” had plenty of great scenes sprinkled throughout, but considering we were spared a leak, it sure felt like we all knew exactly what would happen anyway. The episode begins with an army of the living and ends with an army of the dead, but what exactly happened at Casterly Rock that Grey Worm, the Unsullied, and the Dothraki all made it to King’s Landing unharmed? There was no time for a proper Cleganebowl; only a super-awkward insert of Sandor reminding his brother it would happen. The price of fan-service. Jon has a point about Daenerys’ infertility coming from an unreliable source, but we’re left with the awkward question of whether Dany and Daario had any reason to use some kind of protection. I can’t be the only one who winced at Littlefinger’s line about ravens having trouble flying through storms, considering how quick one moved last week. 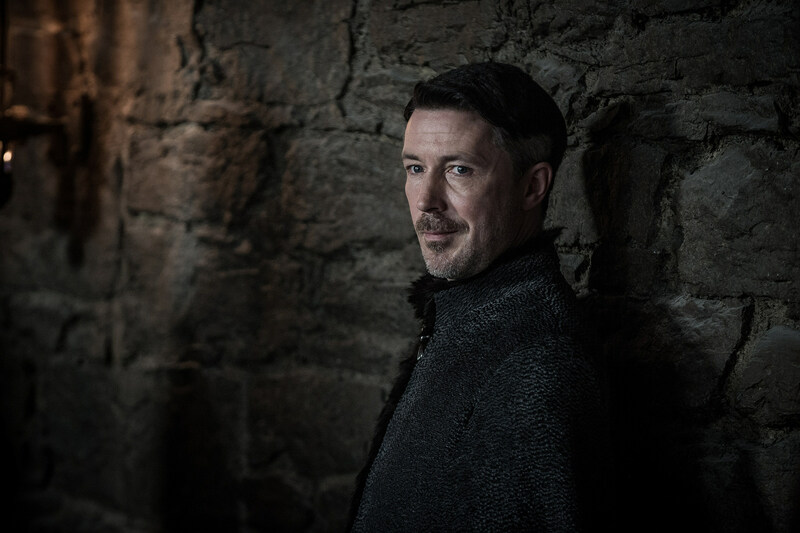 For a guy who’s made it up the ladder this far, Littlefinger is awful at groveling with conviction. Did we say ... elephants in Season 8? Aegon Targaryen. JAEHAERYS WAS BETTER. Okay, but why is Viserion’s fire blue? And how does he keep aloft with those holes in his wings? Never you mind walking skeletons and horses, I demand scientific consistency in my magic zombie dragons. Game of Thrones will conclude with an eighth and final season on HBO, airing in 2018 or 2019.